I saw a list of 'ugly' gifts on social media this morning. Being a person who avoids gifting 'ugly', but who loves gifting 'practical', I had a read. The list included bunches of flowers from the garage, socks and hankies, umbrellas for some reason not stated, and romance novels. Apparently though, according to that writer, the flowers were okay if they were gifted in a beautiful vase, the socks and hankies were a no-no under any circumstances, umbrellas got the nod if they were beach umbrellas, and coffee table books were okay but not the novels. Well, I guess we all write for a different audience. I've gifted garage flowers, socks, jocks, hankies, umbrellas and novels....although perhaps not romance novels, and for the right person, those choices have been absolute winners. I'm kind of with her on the flowers from the garage are okay in a vase. Although I'd add, that I'd usually add a bit more greenery from my own garden to them, and refresh the packaging with a lavish bow. Garage flowers don't usually have the bells and whistles do they. But that alone is a worthy case for snapping up those vases at thrift stores. Something simple is best because you have to transport it remember. A couple of dollars on a thrift store vase, and a big ribbon and you're done. I'm good with gifting socks and hankies too. Pictured above and further down below, are the flannelette hankies I gifted my family, along with beautifully packaged chocolates, seen below also, for Easter. I made the hankies myself, and customised them elegantly. The chocolates were the super thin luxury type, cardboard sleeves removed and replaced with wrapping I'd created on PicMonkey. You can find them in downloadable form, here. The thing is to be looking out for inspiration for gifts no matter where you are, or what time of year it is. Don't go leaving it till the last minute. You can make gifts in small windows of 15 minutes at a time if need be. You should see what Patsy at A Working Pantry rustles up in 15 minute slots of sewing! Certainly tearing a sheet into 38cm (15inch) strips, then snipping it into squares and pinking the edges with pinking shears like this, can yield an astounding number of ready to use or ready to gift hankies/dusting cloths in 15 minutes, once you get into a rhythm with it. These custom wrapped chocolates take less time than that. Two minutes each is a stretch. It's more like a minute each, and these sorts of artistically wrapped chocolate bars will set you back over $10 each at posh delicatessens and foodie boutiques. All those, gleaned from a single picture seen on Instagram. ...mine are pistachio coloured Panne velvet which is naturally stretchy, trimmed with gold and white cord. I think I'll add some metallic gold embroidery...probably French Knots and leaves. That will be similar enough for me. 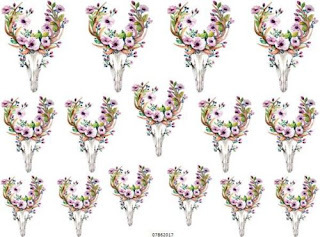 Of course once I'd seen that delicate palette, I couldn't un-see it, and when choosing the prints for my flannelette hankies, a Queen Sized sheet set on sale for $15 in this gorgeous mint colour, and some toning baby pink and pastel accented lengths of fabric, seemed the ideal combination. Sheets are perfect for this as they have miles of fabric in just one sheet. Certainly far more than you'd get in yardage. 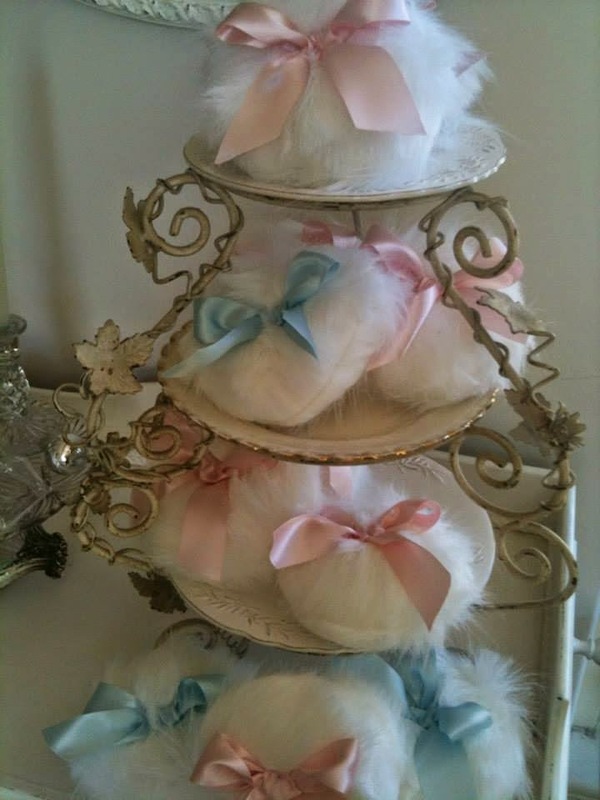 Of course, my fellow bloggers are a constant source of inspiration too, and ever since I first saw Annabels Powder Puffs, I knew I'd be making my own version. ...had left their indelible mark on my imagination as well. So when I found this remnant of powder blue polar fleece, I immediately re-imagined it with baby blue chiffon bows as chocolate scented powder puffs for Easter. Along with other bits of fancy like Unicorn inspired slippers, these were welcomed by the 4 and 6 year old grandies with enthusiasm. And even a simple bar of choccie, wrapped beautifully, is special. Who needs store bought Easter Eggs...really. Here's my latest piece of inspiration. It's a vintage flour sifter, filled with faux foliage from IKEA. Seen on Instagram, this immediately captured my imagination. 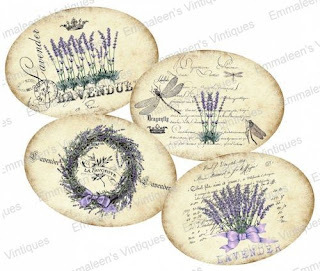 I have miles of French Lavender growing, which is so easy to propagate, and I'm thinking recycled tins, spray painted white, filled with baby Lavender, and finished with these decals. Here's my French Lavender...I told you...miles of it. I adore it, and everyone that visits admires it longingly. Why wouldn't I turn it into gifts? You are so lucky to be able to grow lavender. It doesn't grow well in my zone. You can do so many things with it and I love the smell. Nice blog post. Thanks for the inspiration. I found that the lavender I picked up from the nursery, grew OK in pots, but hated being planted in the garden. On a visit to my Brother in Toowoomba I picked huge posies of lavender. As it dried the seed fell. On the off chance this might grow I put it into some old seed punnets. The lavender seedlings have been in the garden for a while and are doing very well. I am so looking forward to getting more lavender straight from the garden. As to all the gorgeous presents you have put together, Wow! You are definitely an inspiration. I am good at replicating ideas but not at looking at something and then tweeking it to make it my own. I have been looking at the succulent plantings that are costing a fortune in the stores. I plan on taking a few older bowl type pots and making up outdoor table displays using succulents, using what I have here. By Christmas these will be well established and will have filled out beautifully. I dont look at those lists that say what you should or shouldnt give as gifts. Bluey gave me an outdoor blower vac one year. My friends were horrified at this. I however was in heaven. It was the perfect gift for me. You gift what you can and you gift it with love. This should be enough! Mimi, what inspiration! You've got my mind whirling with possibilities. Thank you for the mention! Lovely gifts Mimi, you have an amazing ability to coordinate things and make them look so stylish. I realise you didn't make them, but I am loving the unicorn slippers!!! Wonder if they come in adult sizes lol?! What fun and also elegant gifts, Mimi! So fancy! I love your creativity! Such loveliness you have created! I especially love the chocolates. I like yours better than your inspiration chocolates! So much is in the presentation I think. When I am tempted to buy things, I have to make sure it's not just for a look that I can recreate myself. Or in this case, improve upon. Thank you for sharing. Found your blog today! Love these ideas. I never knew people actually made essential oil blends, I might have to try something myself!